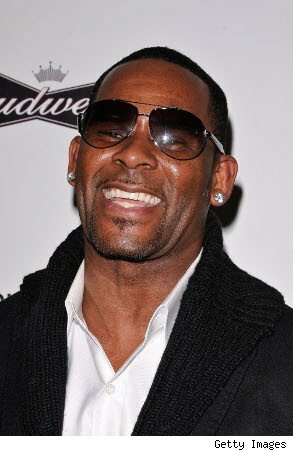 The 8,000-square-foot mansion that was formerly a church where R&B singer-songwriter R. Kelly allegedly created a controversial homemade movie has finally found a buyer after several offers from others didn't seal the deal, the listing agent told AOL Real Estate. The 1885-built structure, which has been remodeled at least three times in the last 125 years, was last listed for $3.5 million and is expected to close in the next few days. The seller, Ilene Greenblatt, purchased it in 2008 for $1 million and promptly rehabbed it, including ridding the home of Kelly's one-of-a-kind Looney Tunes-themed bar that used to stand in his home barbershop. (It was put up for sale on Craigslist). See 25 photos in our gallery. 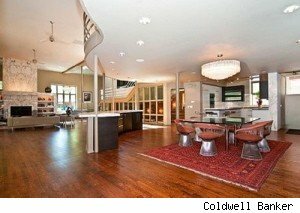 "The seller chose a great designer and she knows the market," co-listing agent Shawn Daly of Coldwell Banker told AOL Real Estate. "She was real and is very savvy." The upgraded kitchen with granite and marble counter tops has a wet bar that seats 12. A hallway has 65-feet of skylights with remote-controlled shades, according to the listing details. The former Chicago Bulls-colored red, black and white master bathroom put in under Kelly has been transformed into a warm bath with copper-finished floor tiles, a $7,000 rain shower head and a one-way mirrored window looking into the bedroom. "My favorite feature is so varied, because I showed the house a lot, and I loved watching people respond to it," said Daly. "But I really love the master bedroom." At 1,200-square-feet, the master is the size of some people's condos and its walk-in closet the size of a bedroom. The master comes complete with a mini-fridge and sink, has a sunken sleeping area, two-sided fireplace and a full-size sitting room. "This was not a house I could sell to someone," said Daly, who first listed it for $3.89 million in May with Coldwell Banker colleague Ed Jelinek. "This is a house that someone was going to love or not. What I needed to do was know my info, know the features and benefits." So who did buy this 5-bedroom, 6½-bath abode in the Windy City's Lakeview neighborhood? An overseas buyer who is a young, hip "very, very high-profile person in the business world," reports Curbed. Daly, who also represents the buyer, says he can't reveal the name before the closing and without his client's permission. But how did he get the buyer? By being accessible, he says. "The buyer called me on my cell phone. I pulled to the side of the road so that I could answer all of his questions and that took an hour. Had I not done that he would have never looked at the house." His advice to our readers who are looking for a good buyer's agent: "Get a Realtor that answers the phone." Sheree R. Curry, who once rented in a Chicago Lakeview neighborhood and owned a home in its suburbs, is a three-time award-winning journalist who has covered real estate for six years. During her 20-year career, her articles have appeared regularly in the Wall Street Journal, TV Week, and Fortune. She's been writing for AOL Real Estate since 2009 from a Minneapolis-area rental. She seeks a book publisher -- or at least a lender who'll give a reasonable mortgage rate to a self-employed mom.